Clubcard and Pay + have brought back their extra Clubcard points offer when using Pay +! 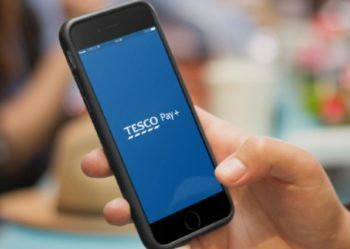 Pay + is Tesco’s payment app. It used to be PayQwiq, but was changed to Pay + (say Pay Plus) which looks a bit silly but is easier to pronounce and spell. Pay + let’s you pay for your shopping and automatically collect Clubcard points. Pay + works a bit like Apple or Android Pay, but collects your Clubcard points as you pay and lets you spend up to £250 in one transaction. Until 31st August 2019 you will get 1 extra Clubcard point for every £4 spent. This is a pretty decent offer and an easy way to pick up some extra points. You can read more about Pay + here. You will still receive all your usual loyalty points from your credit card too. I uninstalled the app as soon as the last bonus period ended. Without bonus points there’s literally no point to it given that google pay (and presumably the apple equivalent) can store your clubcard and payment card. I’m really not sure why Tesco bothered developing it. Pay+ is easier because you just scan one barcode to pay. And google pay is capped at £30. Slightly off topic, but the letter confirming the end of the Tesco current account 3% interest rate arrived today. It was guaranteed for 2 years from March 2017, but continues until 14th June. This is not in my App Store? Anyone know why?